Erik Jewett currently holds the Director position of Windows Azure for the Western European market at Microsoft. Previously, he was Director of Windows Server Marketing. 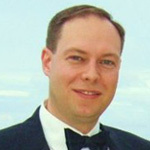 Prior to his career at Microsoft, Eric was Director of Product Management at Emptoris, an IBM company. He also held a Director position at Priceline.com Webhouse Club. Eric has a Master’s degree in Management and Marketing from Vanderbilt University and a Bachelor’s in Computer Science and Asian Studies from Trinity College-Hatford.